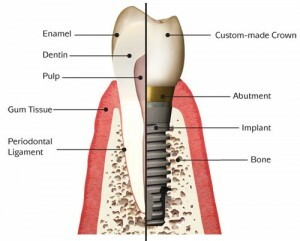 Thinking of getting dental implants in New Haven, Connecticut? The following guide lists the top dental clinics, what you can expect to pay for a dental implant in New Haven. Click on the profile of a dentist near you to read more about them. Here are some examples of how much people have paid for dental implants in Connecticut. Specialties: Cosmetic Dentistry, Restorative Dentistry and Dental Implants, Sedation Dentistry, Comprehensive Orthodontics, Invisalign, Six Month Braces, Family and Pediatric Dentistry, Laser Dentistry, Patient Comfort and Technology, Crowns and Porcelain Veneers. Dr. Joseph Tartagni entered private practice after graduating from the University of Connecticut. 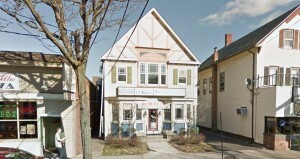 Currently, Dr. Tartagni performs dental care services out of two locations, one in Milford and the other in West Haven, Connecticut. Personalized & comfortable dentistry for children and adults. Our practice focuses on providing the highest quality dental care to maximize your oral and total body health. We integrate compassionate care with the latest technology and scientific developments. 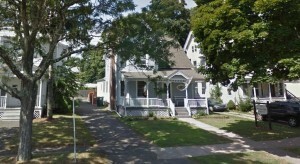 The dental office of David Lamberti DDS has been successfully serving the Greater New Haven area for over 25 years. Dr. David Lamberti’s practice philosophy centers on holistic care for each individual patient including treatment and education for prevention and proper dental health. His gentle and caring clinical services extend to the whole family and their dental concerns. Dr. Lamberti and staff provide friendly, courteous, and prompt service to make your visit as stress free as possible. Our doctors and staff pride themselves on providing the highest quality of care for our patients. The New Haven Dental Group uses many of the most modern techniques in preventative, restorative & cosmetic dentistry. Our dentists can also provide more complex dental services including root canals, dental implants, bridges, crowns and porcelain veneers. We look forward to providing you with a special dentist who will work with you to achieve a healthy and beautiful smile. The dental clinics in Connecticut serve the following areas. Click on a county or region below for a list of the best dentists in that area.